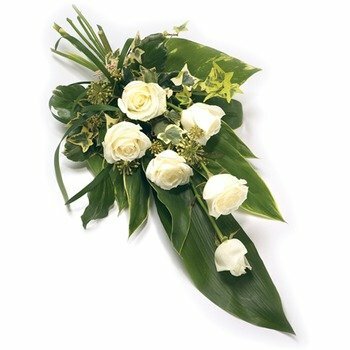 Send this lovely funeral bouquet with white roses and seasonal greenery as a symbol of your love and sympathy. * As I am ordering from outside the United States it was a pleasure to find a site as easy to use as 1st in Flowers. An enjoyable experience.